Why study MSc by Research Engineering and Computing at Middlesex University? The MSc by Research provides a unique opportunity for those who wish to embark on a career in research and development but do not wish to commit to a three-year PhD. You will undertake an individual research project, aligned to areas of current research activity and expertise in the School. You will also receive training in research skills through a number of workshops. In these workshops you will develop your skills in research design and methodology, data analysis, academic writing, presentation and other transferable research skills. As a student of this course you'll receive a free electronic textbook for every module. How is the MSc by Research Engineering and Computing taught? The majority of your time will be spent working on your research project in the library, laboratories or elsewhere, under the direction of your supervisor. You will have regular meetings with your supervisor to review progress and plan future activities. You may also spend brief periods at partner sites, for example where your project involves collaboration with industry. Full-time students are expected to attend for an average of 35 hours per week and part-time students for an average of 12 hours per week. Assessment will be based on a final dissertation of approximately 30,000 words. Two independent examiners will be appointed who will read and evaluate the dissertation, following which you will be invited to make an oral defence of your work. We normally require a second class honours degree 2:2 or above in a computing discipline. Each application will be considered on its individual merits and suitably qualified candidates will be invited for interview. Successful applicants may enrol to begin their studies at the start of any of the three terms during the academic year. You must have competence in English language to study with us. The most commonly accepted evidence of English language ability is IELTS 6.5 (with minimum 6.0 in all components). We also normally require Grade C GCSE or an equivalent qualification. Visit our English language requirements page for a full list of accepted tests and qualifications. If you don't meet our minimum English language requirements, we offer an intensive Pre-sessional English course. To apply for this course, please log into the online application system and select the MSc by Research (ST) application option. Candidates already based in the UK who wish to enrol on this MSc by Research may also apply by the last day of July using our online application system. You can start your MSc by Research at three specific times of the year. These are September 15th, January 15th and May 15th. In order to start at a particular time you must apply by the previous entry point. For example, if you want to start October 15th, please apply by May 15th. If your application is suitable, you will be invited for interview (in person or by Skype) within two and a half months of your date of application. International students who require a Tier 4 Student Visa to progress on a degree at Middlesex University must apply for study on a full-time basis. If you are on any other visa for the duration of study, please contact our admissions team to discuss possibilities of studying on a part-time basis. 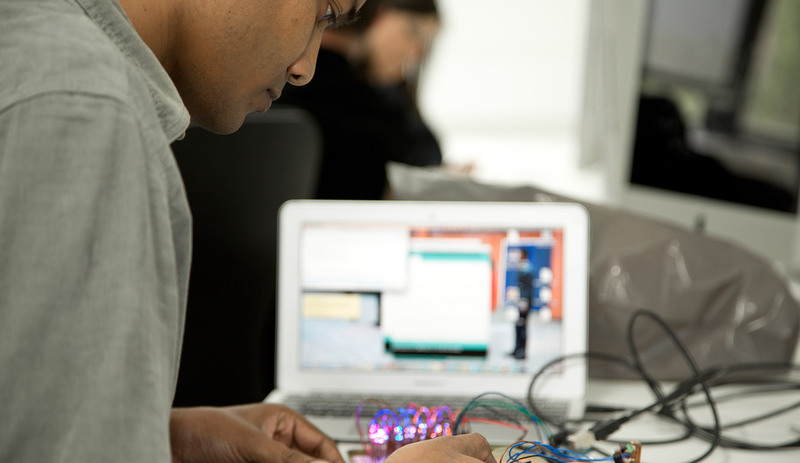 How can the MSc by Research Engineering and Computing support your career? Those who graduate with the award of MSc by Research will be qualified for a wide range of careers in industry and academia.